We love sharing photos on Spokt. We see recent photos on the hub home when we log in, we see old photos show up in the “Remember This?” and we can even feature photos on our hubs as well. 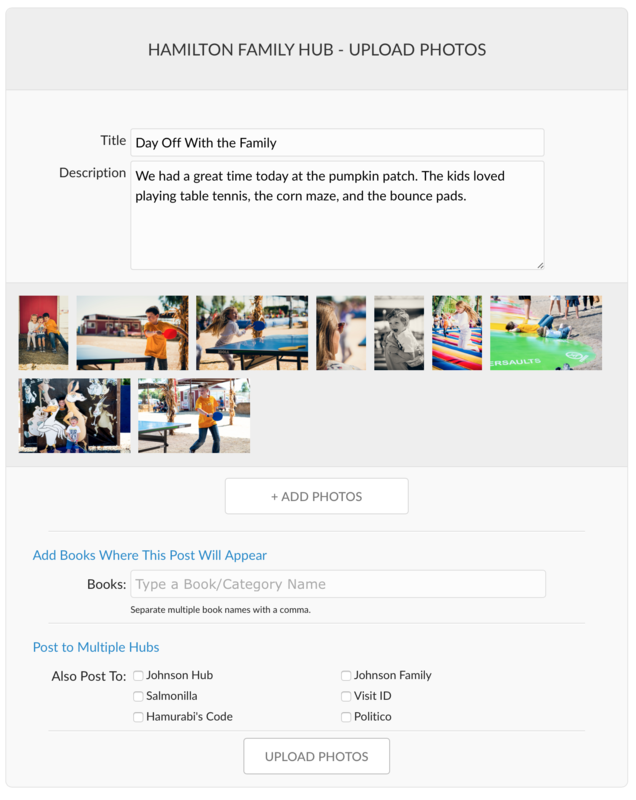 The top most requested feature we have received is for the ability to upload multiple photos to one post and today you can! Thank you! That is awesome news!! Keep up the great work you all are doing! How do we get to he multi photo post feature? Is it only available on a desktop? Hi, you can select multiple photos on mobile too! On desktop you may need to use the shift key and Control key or Command Key on desktop. The multi photio post capacity does not seem to have made it to Europe as yet? We’ve deployed this feature to all regions. Please contact support if you are unable to use it. I really like this now, that I got it to work today (since I couldn’t make it work yesterday when it was first announced). This is going to be a real asset to myself and members of my hubs. THANK YOU SO MUCH! Excellent!!!!!!!!!!!!!! Haven’t tried it yet but just realized it when I added a photo to our page. Thank you, thank you, thank you! Ok: I just now loaded several pics at a time and the finished product looks like everything is loaded as a ‘landscape’. When I click on the ones that are sideways (in other words: ‘portrait’ pics that load as ‘landscape’) they enlarge as ‘portrait’, but the group pics under the original posting show everything as landscape; however your example above doesn’t do that. Am I doing something wrong? OK: disregard. Apparently it takes a little while for the pics to position themselves correctly. Again, thank you for this feature! Thanks, well worth the wait. Our members are having trouble getting the pictures to show up in a specific order. Any advice on how the pictures are organized by default once posted? They don’t seem to be chronological or alphabetical by name. Thanks, we’re excited about this feature! Hi Miranda, the order can’t be controlled yet. I think we’ll figure out a way to make that happen soon. Hi Daniel, thanks for the feedback. We are looking into how we allow users to put the photos into the order they desire. When we need to edit the photo orientation (I forgot to do it before I uploaded it) I find I can click the photo and orient it there but when I returned it was still wrong. Is there a way to do that, maybe it fixes itself as in Millie Edmisten’s question? I’m finding many uses for this new function. Great thanks. We’ll look into this issue. Thanks for letting us know. I have a member who used the feature but One of the two photos was laying on its side and needed to be re-oriented. Editing the photo did not work. Is there a method to do this, or do I need Spokt Support help? After being a bit frustrated with the order the multiple photos are appearing…not as I would entered them, I just figured it was “me”. Then some of my Hub members contacted me about the same issue. I’m glad to see that you guys are working on it, and hope that you’ll come up with a solution soon. We really need to be able to chronologically post our photos to “tell” a proper story! We’re really appreciative in having the ability to post multiple photos! Thanks for your feedback DJ, I’ll pass it along to the product team! Is there any way to delete one of the multiple photos? Hi Bill, sorry but not yet! I recently added multiple portraits of the members of my family. I had a nice one of my mother to add but closed it before I got Dad in the group. He deserves a place too. I could not add him. or maybe you have a way? Thanks for the feedback, our team will look into adding this feature. I did discover if I delete the post and re-enter it I could correct the omission. We read every comment. We will reply when appropriate. Some comments are not shown right away and need to be approved first. We may remove any comment that contains content that is not family-freindly or is off-topic. If your comment would be more appropriate as a support request we ask that you contact support here: http://spokt.com/contact.